When used correctly, IG hashtags can boost your engagement tremendously without any particular effort on your part: posts that contain at least one hashtag get about 15 percent more engagement than posts with no hashtags. 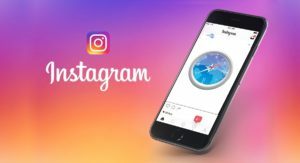 But be careful, the age of using random Instagram hashtags is over - whenever you put a hashtag in your post, make sure that its relevant to the overall theme of your brand or account and to the post in particular. If you’re not sure what hashtags to use, your first stop should be your competitors’ posts and the hashtags they’re using to promote their business. You can also try following these hashtags - then Instagram will suggest other hashtags and content to your based on their similarity to the things you follow, giving you lots of ideas for new hashtags. If you enter a hashtag in the search field on Instagram you will see the number of posts tagged with the hashtag next to each search result. This tells you how popular the hashtag is and it can be difficult to strike a balance here: choose a tag with too many posts and nobody will see your content, choose a tag with very few posts and nobody will search the hashtag and see your post. 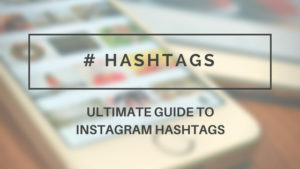 The ideal range of post numbers for hashtags is 5,000 to 500,000, so try to get a selection of hashtags that fall into different places on the scale. 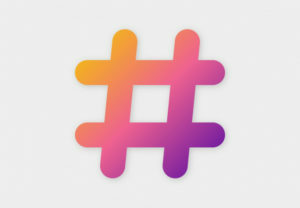 Nobody likes seeing hashtags when they’re trying to read an informative caption, so there are 2 ways to hide hashtags on Instagram: you can put the hashtags in the comments right after posting the photo or you can add some line breaks or dots between the hashtag block and the main content of the caption. Not only is it bad form to use all 30 hashtags that Instagram allows you to use in the same post, but Instagram algorithm actually punishes accounts for having too many hashtags or using the same tags on every post. Instead, have a list of hashtags relevant to your business and choose 12-15 tags that are most relevant to the post in question. As we’ve said before, posts can easily get lost when you use hashtags that are too popular. But with stories it is much easier to get featured in a public story for that hashtag. So next time you post a story, go all out: add hashtags, tag other accounts and add location data - this will surely get you more exposure than regular stories without those features.